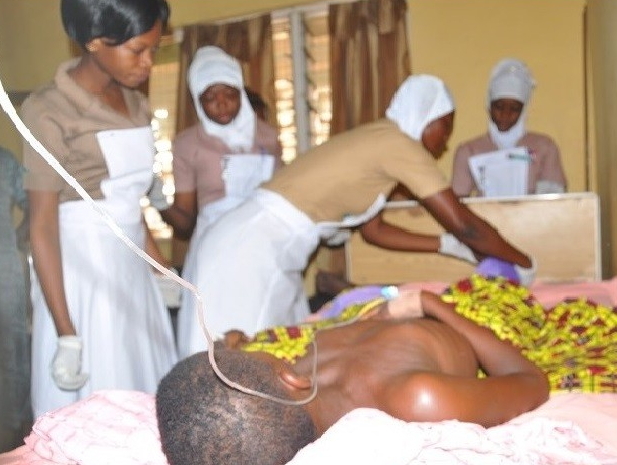 Cerebro Spinal Meningitis (CSM) has in the last 15 days killed 230 and affected 3,774 Nigerians amid the claim of declining infection rate by the National Meningitis Emergency Operations Centre (NMEOC). Despite speculations that vaccines are in short supply, the unit, set up by the Nigeria Centre for Disease Control (NCDC), yesterday maintained that the tackling of the epidemic was succeeding, as it held that the potency of the epidemic had been waning in the most affected states. The fresh deaths from the disease require more action on the part of the agencies of government saddled with the task of tackling the outbreak. The NCDC, in a report yesterday, said the reactive vaccination campaign, led by the National Primary Health Care Development Agency (NPHCDA), was successful in Zamfara and Sokoto states. According to the document, as at May 9, 2017, 13,420 suspected cases and 1,069 deaths were recorded in 23 states, representing an eight per cent fatality rate. However, in the two weeks before, the most hit states of Zamfara, Sokoto, Katsina and Kebbi recorded a drop in incidence. Specifically, Kebbi and Niger states reported zero death over the period. But earlier statistics suggested a rise in infection and casualty in parts of the country. According to the figures also released by the centre, 628 fresh cases were reported in week 16, 1,935 for week 15 and the one before accounted for 2,127. The last report, which was released on April 26, 2017, showed the cumulative number of suspected cases recorded nationwide. The figures were put at 9,646 and 839 deaths from 43 local councils in 23 states. However, the latest document indicates that that infection rate rose from 9,646 to 13,420 while the casualty figure leaped from 839 to 1,069 across the 23 states in just 15 days. The Chief Executive Officer of NCDC, Dr. Chikwe Ihekweazu, said the concerned state governments were fully involved in the advocacy with a view to ensuring that the vaccines get to the right people and the most vulnerable. He said: "It is heartening to see the very high vaccination coverage achieved in communities targeted by the most recent campaign in Sokoto State. "The response to the campaign has been excellent with a very high turnout of people at vaccination centres in Zamfara and Sokoto states." Ihekweazu said efforts at securing more vaccines for the country were ongoing. He revealed that another batch was being expected in a couple of days, adding that the mobilisation of vaccines for other states remained a priority of the administration. Besides vaccination, Ihekweazu said, NMEOC, with support from the World Health Organisation (WHO), had deployed teams in the most affected states to support coordination, case management and surveillance activities. laboratory testing of specimens, clinical care of patients as well as building the needed capacity to control the outbreak," he added. Ihekweazu said NMEOC had commenced a national meningitis prevention campaign, prioritising the states within Africa's meningitides belt across the federation. He noted that the advocacy would be driving prevention messages through the mass and new media as well as community structures to reach households and communities in the 19 northern states and the Federal Capital Territory (FCT). Ihekweazu said this would not only help to prevent the further spread of this outbreak, but would also help the preparedness for any future outbreaks. He stated that the Federal Government and her partners would continue to collaborate on cushioning the effect of the outbreak in the affected communities as well as ensuring that the epidemic is controlled. "Planning has already started to prevent future outbreaks and ensure better preparedness," the NCDC boss added.